 The fastest way for people to support the mission and vision of your church! Text to give church fundraising is the easiest way for your community to give. No contract. Cancel any time. $19/mo after trial. Text giving (text-2-give) is hands down the easiest and most secure way to give. If someone knows how to send a text message, they can give to your church in seconds . 90% of the world’s population can send and receive text messages, with most being read within seconds of receiving. Text to donate improves engagement with donors by allowing them to easily give from wherever they are at any time of the day! Not to be confused with the old school mobile phone carrier based text-to-give, Tithe.ly text giving is lightyears better! Once you have your dedicated church giving number, anyone can give in seconds right from their smart or dumb phone! They don’t even need to be physically attending a service or church event.  Unlike most providers, Tithe.ly text to give for churches settles donations directly to your checking account, gives you access to all your giving/giver data, and costs tons less than carrier based text-to-give. Once you have your unique Tithe.ly church text to give number all you have to do is educate your congregation by putting it up during a service, passing out the “giving posts cards” we send you, and putting it in your newsletter/bulletin.  It works so well that we’ve seen churches sign-up on a Thursday or Friday, tell their church about it on Sunday morning during service, and raise thousands immediately. 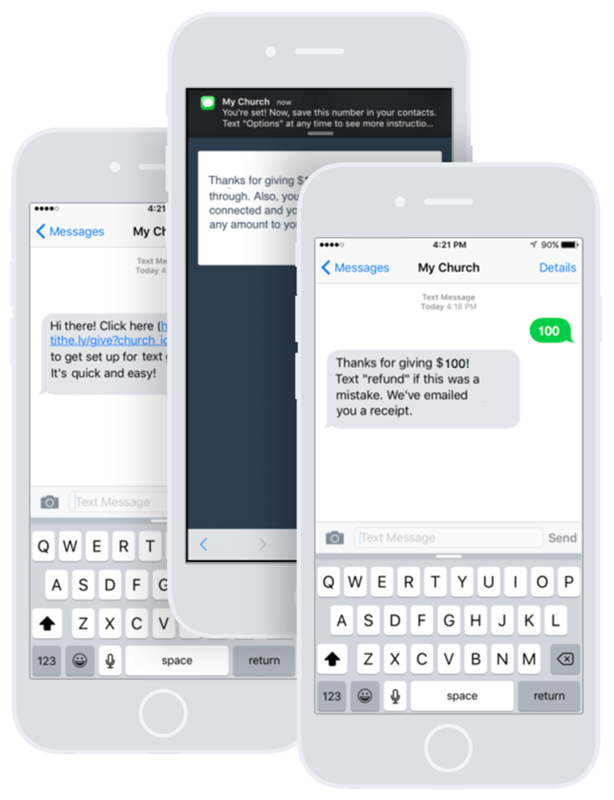 For churches and ministries, text-to-give is revolutionizing the giving experience. Each donor has a card on file linked to their cell phone number and can send a one-time donation or setup a recurring gift at any time by simply texting in the dollar amount to a giving number. Church text to give allows anyone to give your organization by sending a text message with a dollar amount and automatically charging their card on file. It combines the convenience online giving with the fulfillment people get by of giving a donation in the moment. Giving by text is as simple as sending a text message to a friend! Your donors can now easily give at any time with one simple click. They start the process by texting “GIVE” to your dedicated 10-digit giving phone number. Next, your donors quickly fill out their giving information and credit/debit card or ACH details. Once complete, the information is securely saved for future gifts. After the filling in their giving information and their first gift is made, your supporter is thanked, sent a text message and an email with the gift receipt included on your behalf. Now, your donors can easily give at any time by texting a simple number (ex. 250) and hitting send!